Their lender, Bank of America, offered to refinance their loan to 4.7%, a point higher than the average rates that were available. But since the closing costs would come to several thousand dollars, the savings from the new rate weren't big enough to make the refi worthwhile. A credit union offered to refinance the loan but wanted $25,000 at closing because the couple had recently listed the home for sale on Craigslist. The extra payment was to cover for the added risk that the home might soon be sold. Quicken Loans then turned them down because the appraisal on their home came in at $450,000, $110,000 below the appraisal value Bank of America had placed on the home three months earlier. Two weeks ago, they finally got their mortgage refinanced through Amerisave. "It took four banks, one year, a hit to our credit score, $1,450 in fees, and 30 to 50 hours of work each time, but we got our refi. 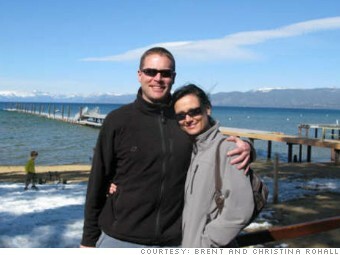 Our rate is 3.75%, saving us $10,000 a year," said Christina.